An amateur astronomer from Australia created this stunning time-lapse video of the night sky over the ocean. It shows clouds streaming across the sky, star-spangled heavens and the oscillations of the tide. It took Alex Cherney of Victoria, Australia almost 1.5 years of work, 31 hours of taking images during six nights on Southern Ocean Coast in Australia. Taking a series of images and combining them into a time lapse video sequence made it even more interesting. I have since experimented with all-night time lapses, panning motion, etc. But most importantly I've enjoyed the journey immensely." Clouds and sky both show illuminating changes during this time lapse video from the south of Australia. In the foreground are scenes visible over a rocky coastline toward the Southern Ocean. Dark clouds flow across the sky, sometimes from different directions, sometimes blocking background starlight, but other times causing stars to appear to flare as they move in front. In the first sequence, looking toward the southwest, a nearly vertical band of zodiacal light is seen at sunset just before the band of the Milky Way Galaxy appears to settle into the sea. Soon the unusual dark patch of the Coal Sack Nebula can be seen on the Milky Way band, near the famous Southern Cross. Later, looking toward the southeast at about 2:10 in the video, Orion can be seen rising appearing nearly perpendicular to how it rises in northern skies. Mini-mystery: what are those lights moving along the horizon? This is the SS Great Britain, the world's first great ocean liner. When it launched in 1843, it changed the way transatlantic ships were seen, as well as how fast they crossed. It is now on display in Bristol, England. Imagine being a wealthy traveler in the early 1840s and thinking about whether to buy a ticket aboard the brand-new SS Great Britain, an iron-hull giant of an ocean liner. It promised a speedy crossing from the U.K. to New York, but to your skeptical eyes, it probably also promised a speedy split in half and an agonizing drowning on the high seas. That was the dynamic that awaited Isambard Kingdom Brunel's great new ship when it was launched in 1843 by England's Prince Albert. Brunel, a famous engineer responsible for, among other things, the Great Western Railway, several iconic bridges, other ships, and more, and who is said to be today considered the second-most important Briton (after Winston Churchill), saw his new ship as the answer for wealthy travelers wishing to cross the Atlantic, but who worried that it would take too long or that their sail ships would get becalmed if there was no wind. The SS Great Britain had an iron hull, a steam engine, and a huge propeller--it was the world's first great ocean liner--and when it launched it was called "the greatest experiment since the creation." It slashed the trans-Atlantic trip from 21 days to 14 and was 100 feet longer than any other ship. For well-to-do Victorians, said Dagmar Smeed, the head of marketing and communications at the Brunel's SS Great Britain museum here, it was a "startling change" in travel and was truly the forerunner of all modern liners. But rich travelers worried that the iron hull would snap in rough seas and stayed away. Ironically, the ship proved its seaworthiness on its fifth journey, when it ran aground in Ireland and didn't break up. But the company that owned it went bankrupt salvaging it. The experiment looked to be over. Yet, the ship quickly took on a new life when it was bought and converted into a ship renowned for ferrying fortune seekers after newly discovered gold to Australia. Over the years, with its giant sails and its 1,000-horsepower engine, it made 32 trips around the world, accumulating more than a million miles along the way. Eventually, though, the ship outlived its usefulness as a liner and was sold again, this time to the Falklands Company, which turned it into a floating warehouse. In 1937, it beached and was stranded in the Falklands, where it lay fallow for some time. And finally, in 1970, it was raised from the sea, towed 7,600 miles across the sea and brought home to Bristol to serve as a museum ship. And that's where the SS Great Britain is today--in Bristol, where it is the heart of one of the most popular attractions in the U.K.: a fully restored ocean liner that treats visitors to the taste of luxury ocean travel--and to some of its deprivations as well. The full ship is open for exploration, from its vast top deck, to its multiple below-deck levels complete with first-class, crew, and steerage cabins, and even the first-class dining area. There's also a look at the giant engine, and on the outside of the ship, the beautiful adornments Brunel added to the star iron hull as marketing to attract the wealthy customers he sought. I got a chance to visit the SS Great Britain as part of Road Trip 2011 and it was a quick education in the lifestyles of the rich and famous and the poor but gold-struck of the 19th century. Walking through the spacious decks, peering into the cabins, complete with realistic dioramas of scenes that would have been typical aboard the ship, and glimpsing the vast engine room, I couldn't help but sense the adventure the ship's many passengers would have experienced. These days, you can fly from New York to England in six hours. And you can even do so in luxury. Or you can take a ship across the Atlantic that likely would put the richness of the SS Great Britain to shame. But without Brunel's giant masterpiece, today's vessels might not be what they are. We take for granted that its safe and easy to cross the oceans, but in 1843, the rich worried that this newfangled liner would crack open and lead to their painful deaths. Little did they know the history-making innovation that was staring them right in the face. The Wave Glider is a new technology dedicated to collecting data about the ocean. The Wave Glider uses solar panels to harvest energy from the sun to propel itself, allowing for the Wave Glider to travel long distance without needing to refuel. Data collected is transmitted in real time via satellite to shore (video part II). Liquid Robotics, a Silicon Valley startup, makes remote controlled robots that cruise the open ocean and gather data. The company plans to collect this data and offer it up to consumers on the web. The machines, called Wave Gliders, can keep track of all sorts of data including whale songs, wave heights and the presence of nearby ships. The company plans to sell these robots to governments, research institutions and energy companies for between $1,50,000 and $500,000 a piece depending on the included components. Liquid Robotics has deployed nearly 100 Wave Gliders over the past year-and-a-half that have racked up 150,000 miles of ocean travel, according to the company which also expands its cloud services that let customers buy subscriptions to the data gathered by the Wave Gliders. “Customers can say, ‘I just want to buy data services and I need robots at these locations in the ocean for these things,’ ” said Vass. About a third of the company’s clients buy off-the-shelf Wave Gliders, another third order customized robots designed for specific tasks while another third opt for the data subscription model, according to Vass. Subscriptions run between $300,000 to $500,000 a year. If that sounds expensive, Vass says consider that it can cost between $30,000 and $70,000 a day to operate a deep-ocean ship. Wave Gliders, on the other hand, can spend years at sea, returning to port periodically for maintenance. NOAA PMEL wave gliders are a simple and cost-effective platform for collecting ocean data that does not rely on expensive ships or buoys. The wave glider features a 6-foot, 10-inch-long floating section equipped with solar panels, a battery and sensors (specifications). Tethered 23 feet below the float in the water is a similarly sized glider with metal wings and a rudder that propel and steer the device. The inventor of the device, Robert Hine, originally made the device for a friend who wished to study whale songs off the coast of Hawaii. He started designing and fabricating the machines in 2005, taking every other week off from his job as a semiconductor engineer. He experimented with different Electric Engine designs, but they all failed. After much research, he came up with a design that harnesses the natural energy in waves, like a sailboat harnesses the wind. The gliders ‘wings’ use the up and down motion of the waves to propel the device forward at a pace of around 1.5 miles per hour. Operators are able to map out a route and have waypoints transmitted to the robot via satellite. It then uses GPS signals to follow the programmed route. The robot is unable to remain still but can criss-cross the same area. Because the gliders are essentially floating platforms that can be programmed to go anywhere, there are many possible uses. They can measure ocean and air temperature to help predict storms and water currents and wave height for shippers trying to determine the safest route for their vessels. They also can help oceanographers monitor whales and other aquatic life. In crowded areas like the Gulf of Mexico, gliders could collect location, speed and destination information for ships—information that now is sent through radio signals—and display the information on a map. There are less obvious uses as well. Mr. Vass imagines equipping gliders with cellular towers to provide coverage in the middle of oceans. Also, gliders could be programmed to dispense fish food, creating fish farms that move around at sea. Liquid Robotics isn’t the only company that makes unmanned sea vehicles for data collection. iRobot Corp., creator of the Roomba vacuum cleaner, makes a glider that collects information up to 3,000 feet under water, surfacing from time to time to transmit its findings and collect new instructions. The Slocum glider from Teledyne Technologies Inc. works in a similar way. Both gliders can collect information from far deeper in the ocean than the one from Liquid Robotics, but aren’t able to transmit data continuously. Japanese scientists have found a "huge" quantity of rare earth elements at the bottom of the Pacific Ocean that could meet at least one-fifth of the world's demand for materials crucial to the manufacture of high-end electronics. Japanese researchers say they have discovered vast deposits of rare earth minerals, used in many hi-tech appliances, in the seabed. The geologists estimate that there are about a 100bn tons of the rare elements in the mud of the Pacific Ocean floor. At present, China produces 97% of the world's rare earth metals. Analysts say the Pacific discovery could challenge China's dominance, if recovering the minerals from the seabed proves commercially viable. The British journal Nature Geoscience reported that a team of scientists led by Yasuhiro Kato, an associate professor of earth science at the University of Tokyo, found the minerals in sea mud at 78 locations. "The deposits have a heavy concentration of rare earths. Just one square kilometre (0.4 square mile) of deposits will be able to provide one-fifth of the current global annual consumption," said Yasuhiro Kato, an associate professor of earth science at the University of Tokyo. The minerals were found at depths of 3,500 to 6,000 metres (11,500-20,000 ft) below the ocean surface. One-third of the sites yielded rich contents of rare earths, Mr Kato said. The deposits are in international waters east and west of Hawaii, and east of Tahiti in French Polynesia. Mr Kato estimated that rare earths contained in the deposits amounted to 80 to 100 billion tonnes. The US Geological Survey has estimated that global reserves are just 110 million tonnes, found mainly in China, Russia and other former Soviet countries, and the United States. China's apparent monopoly of rare earth production enabled it to restrain supply last year during a territorial dispute with Japan. Japan has since sought new sources of the rare earth minerals. The Malaysian government is considering whether to allow the construction of an Australian-financed project to mine rare earths, in the face of local opposition focused on the fear of radioactive waste. The number of firms seeking licences to dig through the Pacific Ocean floor is growing rapidly. The listed mining company Nautilus has the first licence to mine the floor of the Bismarck and Solomon oceans around Papua New Guinea. It will be recovering what is called seafloor massive sulphide, for its copper and gold content. The prospect of deep sea mining for precious metals - and the damage that could do to marine ecosystems - is worrying environmentalists. Nearly 11 months after calving off of the northwestern coast of Greenland, a massive ice island is now caught up in ocean currents off the coast of Labrador, Canada. The ice island was formed when a 251-square-kilometer (97-square-mile) chunk of ice broke off the Petermann Glacier on August 5, 2010. The Canadian Ice Service has since been tracking the ice island, dubbed PII-A, via satellite and radio beacon. The Moderate Resolution Imaging Spectroradiometer (MODIS) on NASA’s Aqua satellite captured this natural-color image of the ice island on June 25, 2011. The northeast-facing coast of Labrador is mostly obscured by thin, wispy clouds, as it has been for much of the past week. News agencies reported that the ice island stretched roughly 62 square kilometers in area and weighed between 3.5 and 4 billion tons. Environment Canada dropped a beacon on PII-A on September 17, 2010. You can track the island by clicking here. 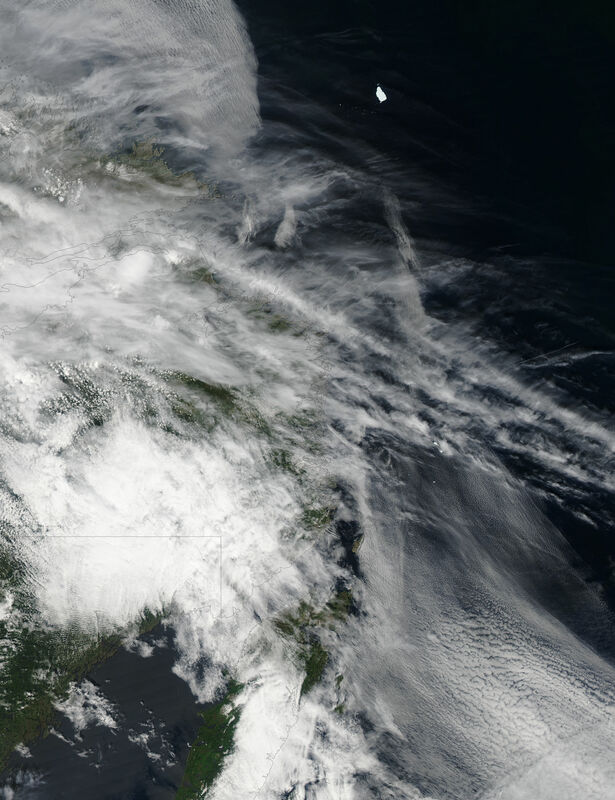 Satellite images of the area around Newfoundland are available twice daily from the MODIS Rapid Response System. Ice sheets simmering in warmer ocean waters could melt much quicker than realized. New research is suggesting that as oceans heat up they could erode away the ice sheets much faster than warmer air alone, and this interaction needs to be accounted for in climate change models. "Ocean warming is very important compared to atmospheric warming, because water has a much larger heat capacity than air," study researcher Jianjun Yin, of the University of Arizona, said in a statement. "If you put an ice cube in a warm room, it will melt in several hours. But if you put an ice cube in a cup of warm water, it will disappear in just minutes." The researchers studied 19 state-of-the-art climate models and saw that subsurface ocean warming could accelerate ice-sheet melting over the next century, resulting in greater sea level rise that could exceed 3 feet (1 meter). Glaciers in Greenland and Antarctica will melt at different rates, though. Given a mid-level increase in greenhouse gases, the ocean layer about 650 to 1,650 feet (200 to 500 meters) below the surface would warm, on average, about 1.8 degrees Fahrenheit (1 degree Celsius) by 2100, the researchers found. The actual warming in different regions could differ significantly, though. They found that temperatures of subsurface oceans along the Greenland coast could increase as much as 3.6 F (2 C) by 2100, but along Antarctica would warm less, only 0.9 F (0.5 C). "No one has noticed this discrepancy before — that the subsurface oceans surrounding Greenland and Antarctica warm very differently," Yin said. The discrepancy is caused by different currents in the ocean: The Gulf Stream will send warmer waters toward Greenland, while the Antarctic Circumpolar Current blocks some of the warmer waters from reaching Antarctica. This satellite image shows Greenland's Helheim glacier where it meets the sea. The glacier is on the left. Large and small icebergs pack the narrow fjord in the right part of the images. Bare ground appears brown or tan, while vegetation appears in shades of red. CREDIT: NASA images created by Jesse Allen, Earth Observatory, using data provided courtesy of NASA/GSFC/METI/ERSDAC/JAROS, and the U.S./Japan ASTER Science Team. This drastic increase in ocean warming will have a substantial impact on how quickly the polar ice sheets melt, as warmer waters will erode away the ice sheets below the surface. This is on top of increased melting from warmer air in the region. As the glaciers' underwater support structures melt, they lose chunks of ice, which become icebergs. "This does mean that both Greenland and Antarctica are probably going melt faster than the scientific community previously thought," study researcher Jonathan Overpeck, also of the University of Arizona, said in a statement. "We could have sea level rise by the end of this century of around 1 meter [more than 3 feet] and a good deal more in succeeding centuries." Previous estimates had projected sea levels to rise by anywhere between 1.5 and 6.5 feet (0.56 and 2 m), and in 2011 a study by Eric Rignot, of the University of California at Irvine, and others projected that sea level rise would reach 12.6 inches (32 centimeters) by 2050 alone. Overpeck and Yin's study adds to the evidence that sea level rise by the end of the century will be near the high end of these projects. 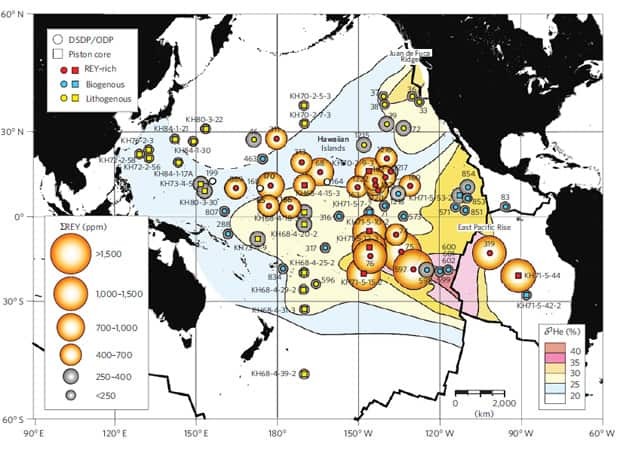 The study was published (July 3) in the journal Nature Geoscience.